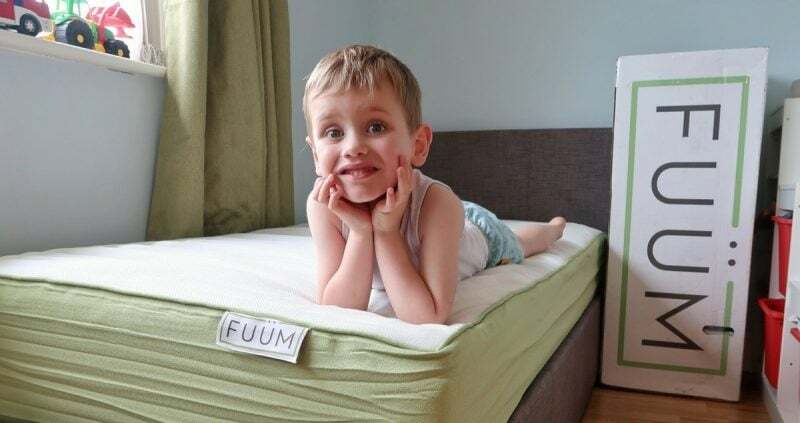 You may have seen that Biggest recently transferred into a full size bed with his extremely comfy FUÜM mattress. In order to accommodate the new bed, we made a few other changes to update the room. Now that he is getting a little bigger, he needs more storage and a pleasant place to play. 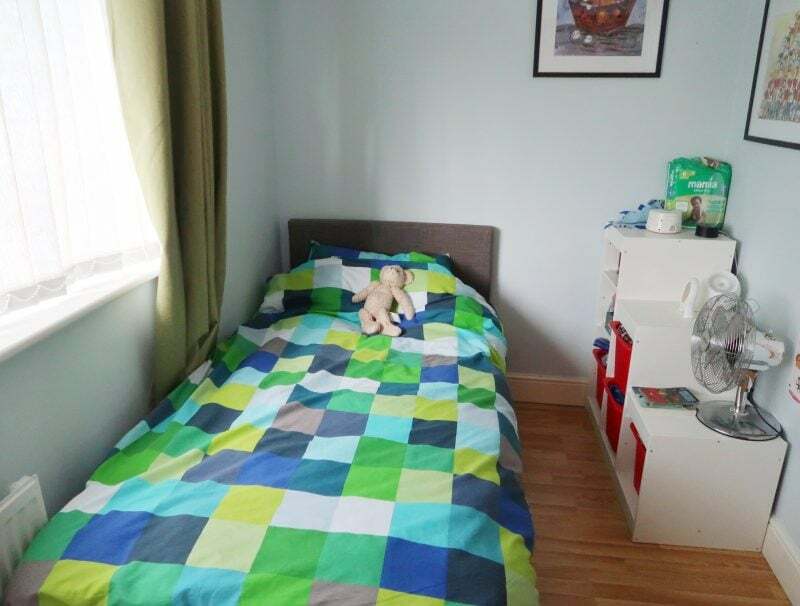 As well as buying a new bed frame and bed linen, we also invested in a few other things to make his room a really nice space for him to enjoy. 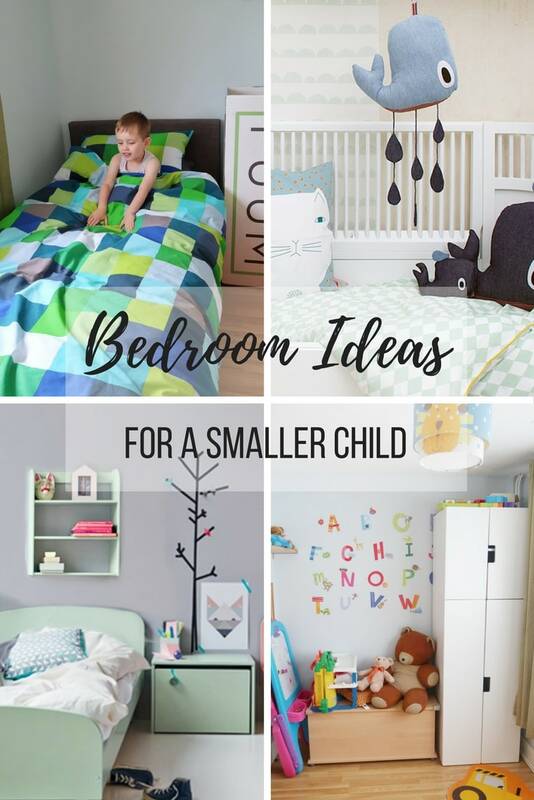 I thought I would share some of our bedroom ideas. 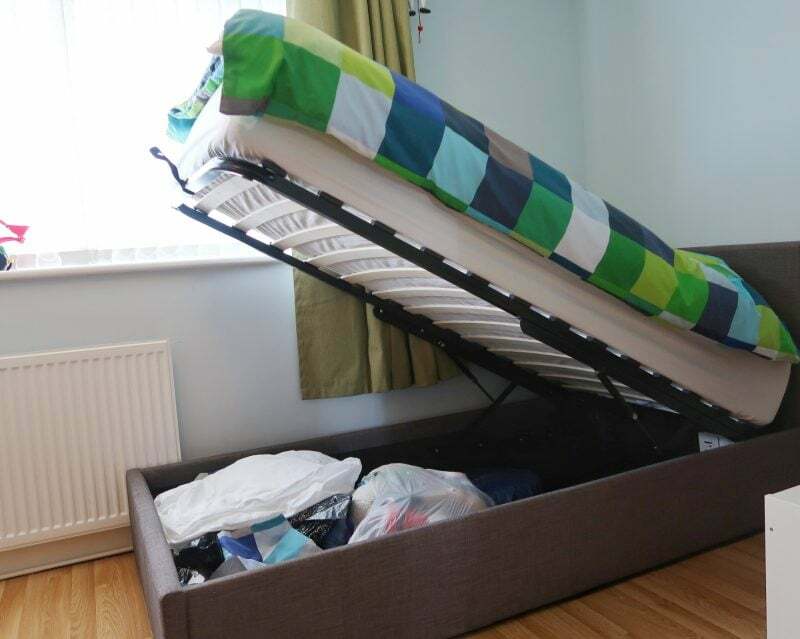 This bed frame was a real bargain at only £199. The best thing about it is the ottoman style – the whole bed opens up and the underneath is storage space. 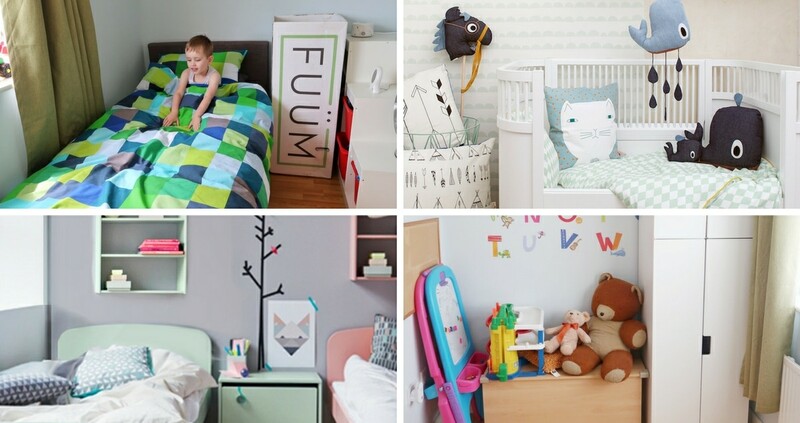 This is great for a growing boy with lots of toys and clothes that need to be stored. It is easy to open but will store a huge amount of stuff that can be hidden away – prefect! 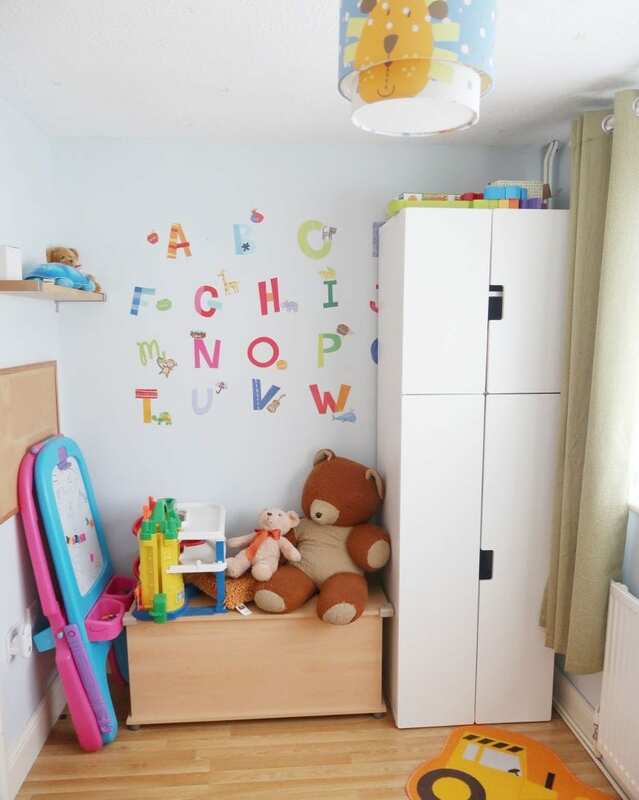 We love this wardrobe as it has loads of space and could potentially last a long time. The shelves and trays inside can be rearranged to accommodate bigger clothes and Biggest could potential still use it as a teenager. Littlest could also inherit the wardrobe if he outgrows it in a few years. I love Next designs and Biggest chose this bed linen himself. He loves shapes and patterns and was fascinated by the fact that there were squares in different colours and he could find different patterns. This set was a two pack, with one set being predominantly green and the other mostly blue squares. 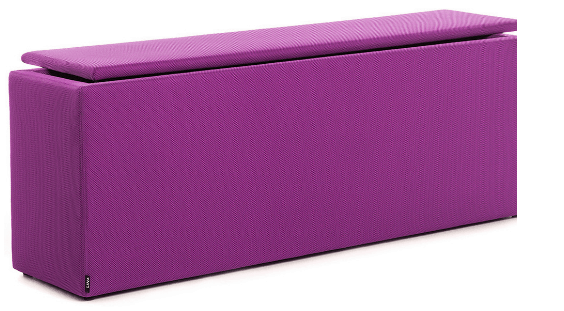 The wooden toy box in the pictures above has a broken hinge and this box has the advantages of being padded and colourful and serving as seating, as well as storage. 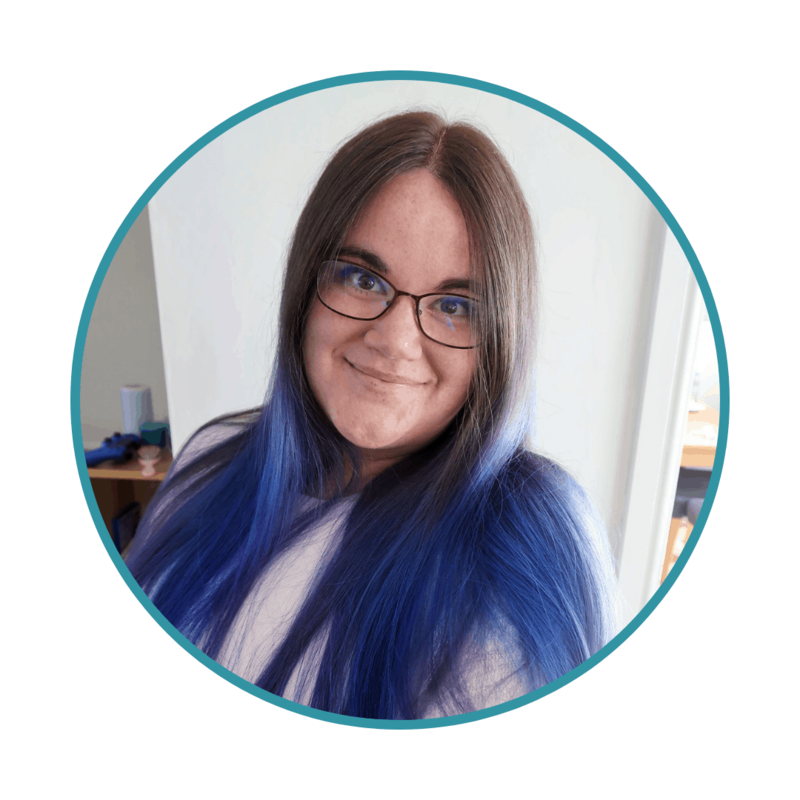 Biggest, who has autism, needs time on his own to recharge and this means he often engages in solitary pursuits like listening to music on his headphones or playing on his tablet. 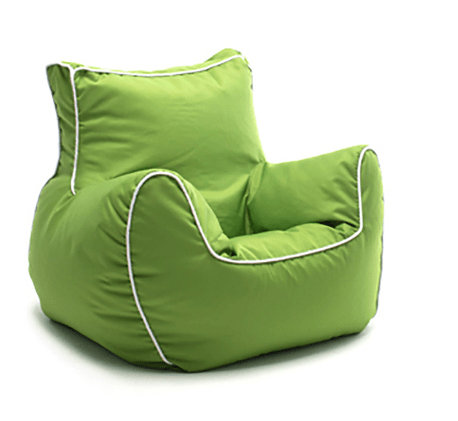 This chair would give him a really comfy place to chill out and enjoy his room. I think he would love this chair.